Philippine Airlines Promo: Your Home in the Sky's BIGGEST SEAT SALE is happening this weekend! 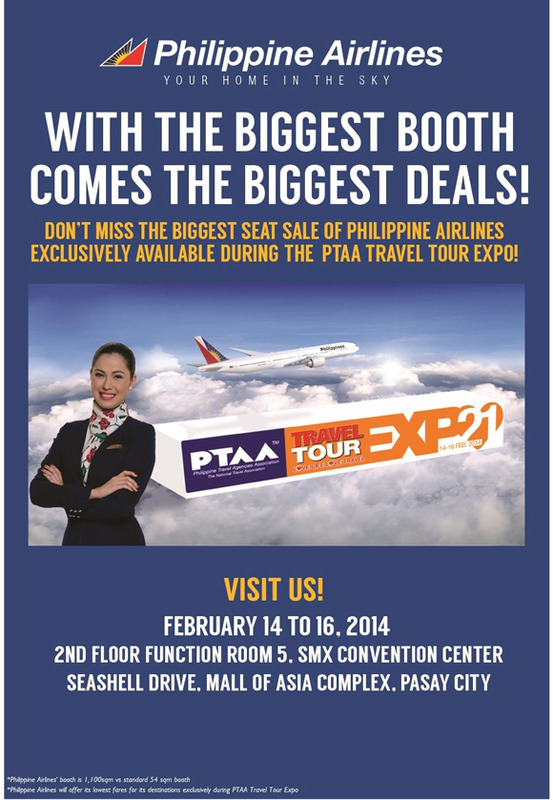 Make sure to visit Philippine Airlines' booth at the PTAA Travel Tour Expo 2014 happening on February 14 to 16! See you there!